I previously posted about the Silent Cinema that Short & Sweet hosted in Deer Park on Valentine's day. 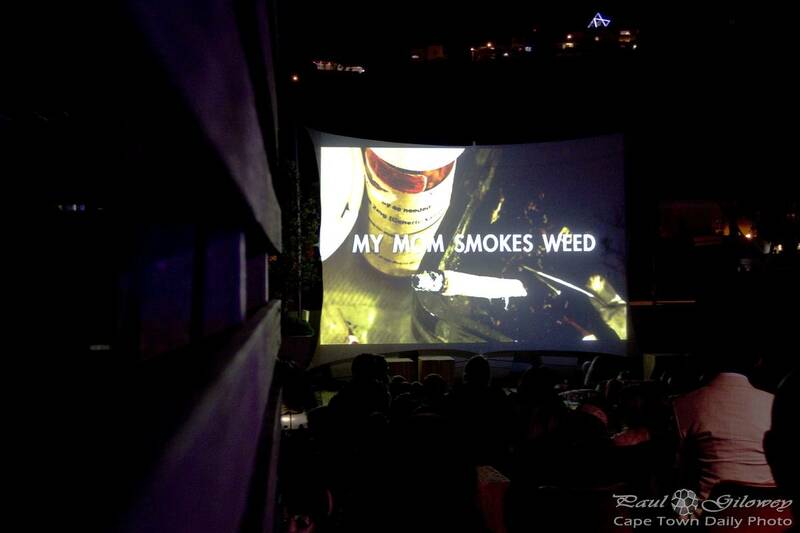 The series of short films was so fun to watch that I went along to their Rooftop Cinema at Batstone Pool on top of De Waterkant's Cape Quarter buildings. As with the Silent Cinema, the open-air Rooftop Cinema didn't disappoint - it was plenty of fun. The film selection was brilliantly curated, and there was a fair variety of films from producers whom I'd otherwise never have heard of. Make a plan to visit the Rooftop Cinema, they'll run until the end of April, or otherwise check out their drive-in in Vredehoek - I imagine they'll be running that throughout winter. For updates about their Cape Town gigs, like their Short & Sweet Cape Town page on Facebook. Posted in General and tagged cinema, green point on Friday, 20 March, 2015 by Paul.